Always wanted to own a little piece of paradise? Located on the Lower Kananaskis Lake, Whispering Pines was originally a small A-frame, with a stunning Linwood Homes addition built on in time for the 1988 Olympics. The result is a spacious cabin with spectacular views, nestled among the pines and just steps away from the Lake. Fully furnished and complete with household goods, you can just unlock the door and begin enjoying this spectacular mountain retreat. There are two bedrooms on the main floor as well as a great loft that can sleep 5. The wood burning fireplace has circulating fans to keep you cozy on the coldest of winter nights, and the large deck is a spectacular place for your morning coffee. Also included is a 14’ fishing boat with motor to help you win the annual Fishing Derby, a canoe, paddle boat and bar-b-que. Make this your mountain home so you can enjoy all the recreational opportunities Kananaskis has to offer right out your front door! 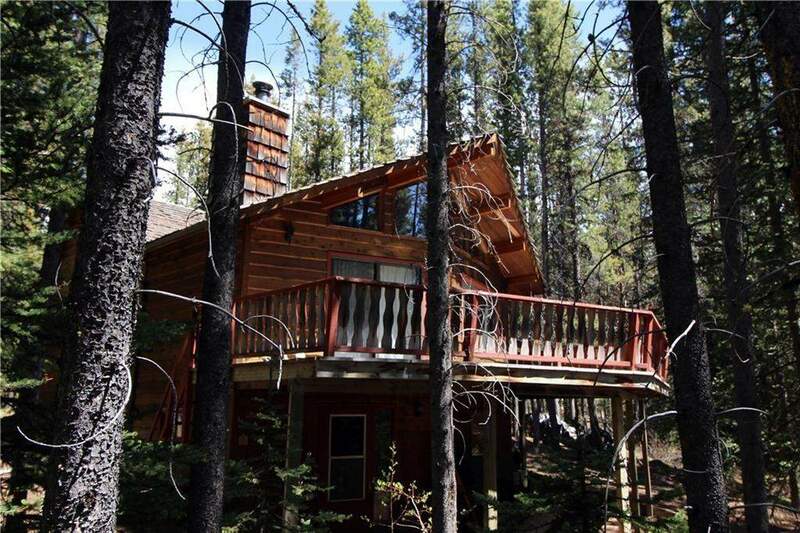 Home for sale at 26 Lakeshore Dr Rural Kananaskis I.D., Alberts T0L 0H0. Description: The home at 26 Lakeshore Dr Rural Kananaskis I.D., Alberta T0L 0H0 with the MLS® Number C4188907 is currently listed at $675,000.